Sprinkler Systems Calgary | Products & Services | College Waterworks Ltd.
An automatic irrigation system is one of the best investments in your home that you could make. At College Waterworks Ltd., we are experts in installation, repair, and programming of sprinkler systems and hydroponics indoor watering systems in Calgary and the surrounding area. You can trust us to provide you with high-quality products that will free up your time and save you money in the long run. You won’t need to worry about watering your lawn in the summer, even if you go away for a trip. The system runs itself! 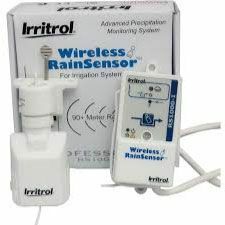 Give us a call today to learn more about our systems and to request a free quote for setting up your own automatic irrigation system. College Waterworks Ltd. has installed over one thousand irrigation systems in Calgary over our 25 years in business. We are incredibly proud of that achievement and our continuous commitment to excellence. We offer 5-year warranties on our installations and we are authorized for repairs on all brands of irrigation.